The documentary detailing the Dodge Viper ACR’s most recent attempt at the Nurburgring production road car record has arrived online, taking us along for the ride as the team turns in the incredible lap time of 7:01 – falling just short of the 6-minute goal. 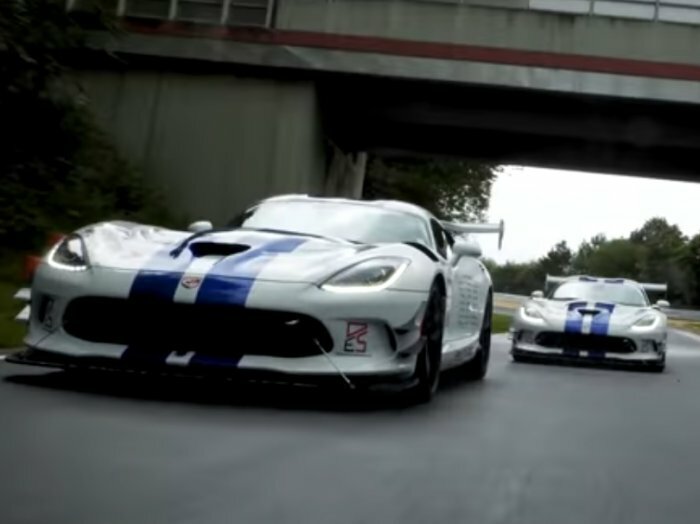 After a crowd-funded effort to set the Nurburgring production lap time record with the 2017 Dodge Viper ACR Extreme ended with a best-time of 7:01, the team promised a documentary looking at all of the ups and downs of the program. That documentary has arrived online and the detail is impressive, taking us along for the ride – right down to the hard crash that ended the record attempt. In July 2017, a crowd-funded effort to set the Nurburgring Nordschleife production car lap record with the 2017 Dodge Viper ACR Extreme started off with promising, yet frustrating results. The team was able to record a lap time of 7:03, but rain and an odd mechanical issue prevented the team from breaking into the 6-minute lap time range, or breaking the record for a production road-going car. After getting more funding from Viper Nation, the team headed back to Germany in August for another shot at the record. That time, they were able to record a time of 7:01, inching ever-closer to the 6-minute mark. However, on the next lap – the lap which would lead to the new record based on the early split times – the Viper crashed hard when one of the Kumho tires failed. There were two cars involved in the record runs, but one of the Vipers had a tire fail earlier that same day, leaving only one good car. When that second car crashed, they were down to one car, but facing a shortage of time, a shortage of money and ongoing tire problems, the crew packed it up and went home. The team was disappointed that they were unable to get into the 6-minute range or set a new production road car lap record, but with all things considered, a time of 7:01 is mighty impressive. A half-year later, it is still the quickest lap time by any American road car at “The Ring” and only one other rear-wheel-drive road car has turned a quicker lap, with the Porsche 911 GT2 RS setting the record with a 6:47.25. The documentary is about 25-minutes long, so you will want to grab a drink, kick back and enjoy this video detailing the Dodge Viper ACR Extreme’s run at the Nurburgring lap time record.